Domestic violence clients receive case management, counseling, legal advocacy at the domestic violence court, rental assistance and energy assistance, assistance with other emergencies, transportation, referrals to shelter or support identifying affordable housing, connection to employment services, referrals for assistance with U-VISA and other legal and law enforcement interventions. All services to domestic violence victims are bilingual (English/Spanish). The Domestic Violence program is an ongoing, year round program. Children who have witnessed domestic violence are also able to participate in support groups that improve their awareness of related emotions, techniques in managing anger, and problem solving. The goal of the massage program is to offer a therapeutic service to women who have had violent experiences with human touch. The massage will help with post traumatic stress disorder (PTSD), anxiety, and depression. It is a needed respite for women who sometimes struggle to just feed their children. The purpose of my case study was to determine if massage, combined with inner unit stabilization exercises, could decrease pain, improve sleep quality, and increase breathing pattern functionality in a patient with sciatica. My research participant presented with low back pain classified as sciatica. She reported having issues with poor sleep quality, and had a history of recurrent pneumonia and chronic bronchitis. The patient’s goals were to have more energy, be free of pain, and get better sleep. Current research show a growing interest in the role breathing pattern disorders play in trunk stability, functional movement, and pain pathologies. I focused on treating muscle groups that would affect the patient’s back pain and breathing issues and worked with the patient to develop a home care plan that aimed to target trunk stability. The patient and I were very pleased with the results: her back pain was resolved, her sleep improved, and she was breathing better. I’m happy to report that she is still doing well. The Rural Resources Family Caregiver Support Program serves a large portion of Eastern Washington (Whitman, Lincoln, Pend Oreille, Stevens and Ferry Counties). We work with unpaid, informal family caregivers and create personalized self-care plans for each caregiver. Self-Care Plans consist of services that empower the client to take care of their own health, too. 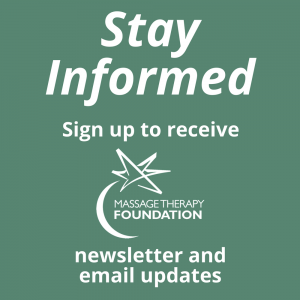 With support from the Massage Therapy Foundation, we can now offer increased Supplemental Therapeutic Massage for unpaid caregivers on their Personalized Self Care Plans. The ability to offer this service is valuable for these caregivers, who are often stuck in a pattern of neglecting their own in needs and focusing on their ill family member. Rural Resources case managers were so thankful to learn they could increase offerings of therapeutic massage to their clients. Caregivers in our community are grateful for the service, and wouldn’t otherwise be able to engage in massage therapy services if it was not for the support of the FCSP and the Massage Therapy Foundation. This project was a 5 week-long case study examining the potential therapeutic effects of massage and atlanto-occipital mobilization on a 3 year old boy with autism. The hypothesis was that alleviation of distortions in the atlanto-occipital joint would improve circulation to and from the brain which might in turn help improve the client’s language and communication skills. While the effects of general massage techniques were negligible, the effects of atlanto-occipital mobilization in particular were significant. After just one treatment involving atlanto-occipital mobilization the client’s ATEC scores improved by 20%. The client’s mother also noticed remarkable improvements in his behavior in the days and weeks following the treatment. This has profound implications for the potential benefit of targeted manual therapy for children with autism spectrum disorder. This grant is sponsored in part by a gift from Biotone. The project we have proposed is to look at the value of massage therapy as a treatment option for patients with chronic pain. With the epidemic in opioid use and misuse leading to addiction, it is imperative to investigate any and all other avenues to manage pain. We are partnering with the pain clinic in our area in Southern Maine. The behavioral health clinician working in that clinic will refer patients who she believes will be receptive to trying another approach to managing their pain. We believe that pain management does not mean the absence of pain, but the patient’s ability to manage the pain that they have. We have evidence that pain can be better managed when an individual feels relaxed within their body and calm within themselves. We will use the PHQ-9 to evaluate depression over the time of the therapy, the GAD-7 which will let us evaluate anxiety and the SOAPP-R which will predict possible opioid abuse in patients with pain. Additionally, we will interview every client who participates and will also hold focus groups to discuss the effect of the therapy from the client’s point of view. This is a small study. However, we hope that if the results prove positive, we will be able to find additional funding to increase the scope of the project. disorders in instrumentalists. Massage therapy can be of benefit to these presentations. hypertonicity, pinch and grip strength and performance in a guitarist with medial epicondylitis. techniques, wringing, muscle stripping, trigger point therapy, and frictions completed with ice. strength improved in the left hand. DASH scores decreased. decreased pain in subject, along with other symptoms commonly seen in medial epicondylitis. Fayetteville, North Carolina (NC) ranks the 15th highest in the nation for opioid addiction; 18th when you include heroin. . Our Collaborative Institute for Interprofessional Education & Practice (CI-PEP) is already providing massage services to military personnel, veterans, and families. Under our current infrastructure, we have measured pain levels before and after services; however, we have not exclusively targeted the chronic pain and opioid use population, nor have we researched to explore chronic pain and opioid use against therapeutic massage. In our CI-PEP, therapeutic massage was the inroad to most soldiers and their families seeking other holistic services offered for free. The aim of the study is to test the effectiveness of massage treatments for chronic pain and opioid use. The holistic model proposed here focuses on the integration of therapeutic massage services to clients who endorse chronic pain and concurrent or prior opioid use for pain management. The focus of massage will be to relieve pain, reduce muscle tension, reduce the frequency of narcotic use, and reduce the number of visits to the doctor’s office. Twenty-five military affiliated participants who endorse pain and opioid use for at least six months to 12 months, ages 18 years and over, will be enrolled in the military massage therapy opioid patient services (MM-TOPS) program and receive free massages, counseling, and other complementary and alternative services. We limit our MM-TOPS enrollment to 25 participants to ensure the quality and rigor of the research and ensure the trustworthiness of data collected. Five massage therapy sessions were provided to a patient with long-standing diabetic peripheral neuropathy (DPN). The aim of the treatment was to increase circulation in the lower limbs and through that improve tissue health. Also it was suggested that massage therapy could help with pain management and thus help the patient with everyday tasks and work. Nerves and blood vessels get compromised with DPN leading to poor healing and thus development of ulcers on the legs. Though some limitations were present, five sessions still proved to be effective in providing relief to the patient and allowing the patient to work and maintain daily activities. The major suggestion is that with chronic issues such as DPN massage can be helpful if provided on the ongoing base, and not just for five session. Also it is very important to educate the patient about feet-care and self massage in order to get the maximum benefits in terms of tissue health and circulation in the lower limbs. The Caring Place, a program of Nevada Childhood Cancer Foundation, is dedicated to easing the journey of adults diagnosed with cancer living in Southern Nevada. 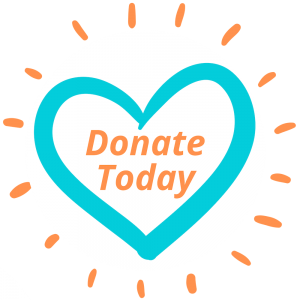 Since 2009, The Caring Place has provided over 25 programs and services, at no cost to patients, including educational classes, activities, and hands on therapies intended to decrease the stress and anxiety of fighting a daily battle against cancer. Massage therapy is the most popular service provided at The Caring Place and positively impacts and contributes to the reduction of pain, anxiety, and depression in cancer patients.